The Sirindhorn School of Prosthetics and Orthotics is part of the top ranked Mahidol University. SSPO is under the Faculty of Medicine, Siriraj Hospital and is located just north of the main hospital complex. We offer two domestic degree programs and three international degree programs, including options such as on-campus learning, distance learning, and a Masters program. We also have two on-site clinics, including the Center of Excellence of Prosthetics and Orthotics, for high-end prosthetic devices. We are a fully accredited, ISPO category 1 institution with ISO 9001:2008 certification. 2002: Officially established on September 4, 2002 in collaboration between Sirindhorn National Medical Rehabilitation Center and Faculty of Medicine Siriraj Hospital, Mahidol University with support from Nippon Foundation. 2006: The school produced 9 Prothetists and Orthotists and moved to the Faculty of Medicine Siriraj Hospital, Mahidol University . 2009: The school was recognized as an ISPO standard Category I institution. 2010: The school opened a Bachelor of Prosthetics and Orthotics international program and a new aim to become a leader in the Prosthetics and Orthotics field in South East Asia was initiated. 2012: Intertek Moody International awarded SSPO with ISO 9001:2008 certification. On September 22, 2012, Her Royal Highness Princess MahaChakri Sirindhorn graciously presided over the Grand Opening Ceremony of SSPO. 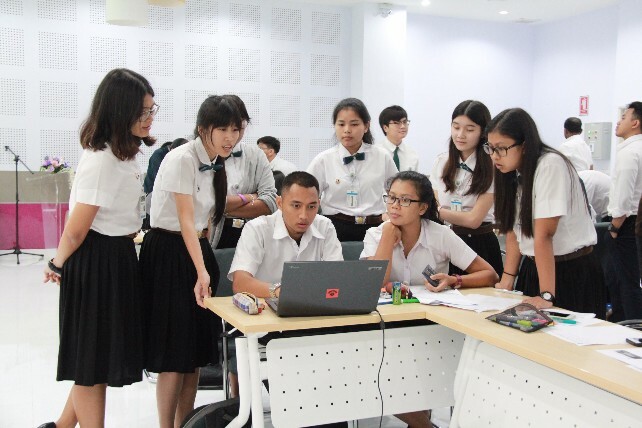 2013: An international curriculum was approved by the Mahidol University Council and a MOU was signed with SSPO, Human Study and the ISPO with the intention to create an international Bachelor porgram via Blended Distance Learning. 2015: SSPO was officially acknowledged as an individual department by the Mahidol University Council and SSPO’s service section received ISO 9001:2008 certification..
2017: The school opened Bachelor of Prosthetics and Orthotics Blended Distance Learning Program and Master of Science Program in Prosthetics and Pedorthics International Program.